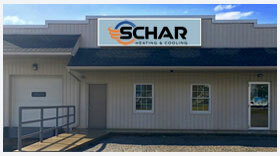 Schar Heating & Cooling, Inc. is proud to serve the Akron community! About Akron, OH - Happy to be your hometown Heating & Air Conditioning Contractor! Akron, Ohio is the fifth largest city in the state, and it serve as the county seat for Summit County. Located about 40 miles of south of Lake Erie, the city can be found along the western boundary of the Glaciated Allegheny Plateau. Approximately 198,000 people call the city home, and these “Akronites” have many employment opportunities at their disposal. Top employers include Summa Health System, Akron General Health System, and the Goodyear Tire and Rubber Company. Higher education to prepare for that job is available at the University of Akron. This large city is home to many cultural and recreational opportunities for visitors of all ages. The Akron Art Museum features modern art and photos and is housed in a historic building constructed in 1899. Nature lovers have plenty of attractions at their disposal, including the Akron Zoo, Stan Hywet Hall & Gardens, and F.A. Seiberling Nature Realm. Other popular destinations include Lock 3 and the Akron Civic Center. The weather in Akron is part of a humid continental climate zone. Winters are typically cold and snowy. Each year, the region sees about 47 inches of snow, which is less than the Snow Belt situated to the north. Rain, sleet, and icing are also common, especially since there are many days in which temperatures fail to even reach the freezing point. Residents rely heavily on their gas or electric furnace throughout the season in order to stay safe and comfortable. Summers in Akron are hot and humid. Daily highs reach into the 80s, on average, but some days experience temperatures will into the 90s. Residents need a cool place to escape the heat on the hottest of days. A central air conditioner is a wise investment, and residents should use the mild, wet spring months to schedule their system maintenance with a highly-qualified HVAC technician.